Every month on the 30th I will be doing my recap of that month. You can check out my goal post here. I finished all my goals, beside the first one which I failed early already. So for the remaining few months we’ll see how much further I can get. Accept no more than 1 book with a deadlines each month. I failed this one in february already. Even though I fail this goal in the first few months I am doing better not accepting as many deadline books anymore. Palace Secrets by Ravyn Rayne, which was okay and didn’t have much focus on the historical aspect. A Lady’s Guide to Skirting Scandal (The Lords of Worth #2.5) by Kelly Bowen, was fun and original and I’ll be reading more of this author her books. Immersed (The Clockwork Siren #1) by Katie Hayoz, this was one was very enjoyable. Great historical setting! Read at least 20 review books this year. 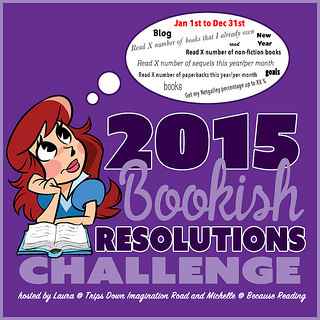 I read 67 review books so far this year, totally powned this goal! I keep adding books to the list as well though, so I am not really making a dent in my for review pile. Organize at least 30 tours with Lola’s Blog Tours. Yay reached this goal! 34 tours organized so far! I only made one bookish goal and that was to read at least 100 books this year. I’m at 80 so far so I think I’ll make it. And it sure looks like you are doing well with your goals. You still have two months left so hopefully you manage to reach your goal! Those 67 are the review copies I read this year so far, in total I have read 94 books this year, so I am hoping to reach the 110 at the end fo the year. Then I would’ve doubled my goodreads challenge goal. Good luck with reaching your goal! The one I failed I can’t win anymore and the others I did reach my goal, so that’s good. Now I am just counting to see how far I will get. I hope you’ll reach your goals too!